Tibidabo Amusement Park is a magical place to be and one of the symbols of Barcelona. This 100 year old amusement park is one of the oldest in the world, but one that never stands still. Take a tour of the park and learn from its history, get to know its charm, enjoy the rides and attractions from the old favourites to the latest generation enjoying the thrills and fun for children, teenagers and adults alike. Totop it all, you've got amazing views of Barcelona by the Mediterranean spread out below. There are 25 rides to discover for all ages, great shows and street theatre, which makes walking around the park a fun attraction in itself. What's more, the park also has a wide range of facilities for visitors including restaurants, many with amazing views, picnic areas and an host of services to make your day at the park is great from beginning to end. · Access to all the levels of the Park. · Access to El Camí del Cel. 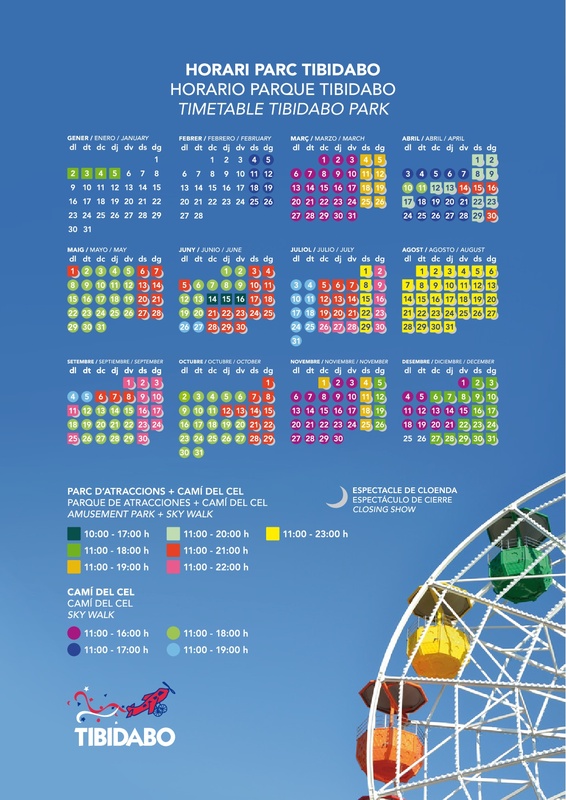 · Access to all the attractions of Tibidabo Park. · Access to the Automaton Museum. Please note that children more than 120 cms will be charged adult price, regardless of age. Tour is only valid for the date purchased. Touristic bus T2A from Plaça Catalunya (bus stop located on the corner of Pl. Catalunya and Rbla. Catalunya, in front of Caja Madrid bank). The first bus starts from 10.15 am on the days park is opened and they will arrive every 20 minutes approximately. Shuttle bus is free when showing your wrist band to the driver. This can be purchased form the car park ticket office. This service is only for visitor who purchase Park admission.